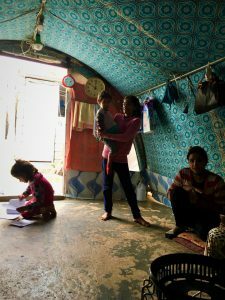 Saly and her twin brother are two of nine siblings living with their mother and father in Esian camp, a 40 minute drive from Duhok city. The family is from Zorava in Sinjar. 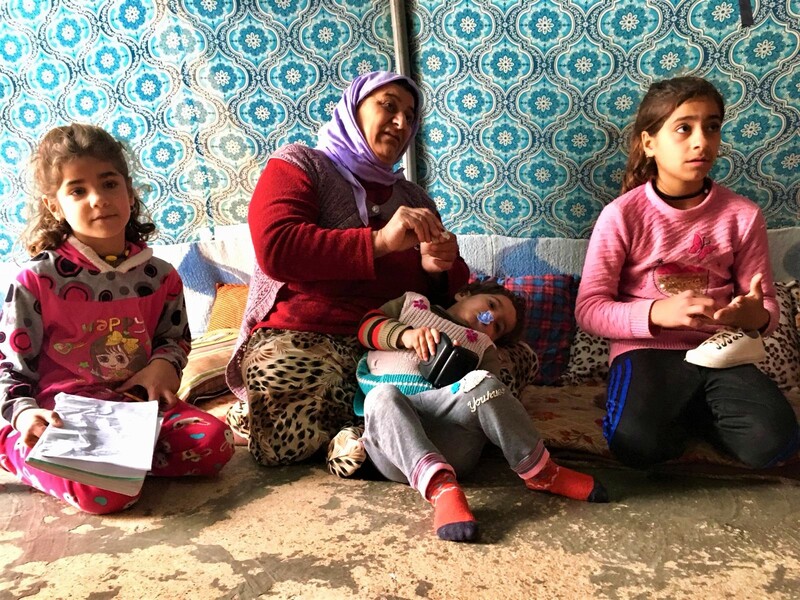 Like other Yazidis, they were forced to flee in 2014 when ISIS entered the region. 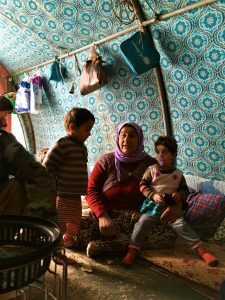 On the 3rd of August, as ISIS approached the outskirts of their town, the family got in their car and left the village. On their way to Kurdistan they passed through numerous ISIS checkpoints, including the infamous Rabia where many were not permitted to continue on. Once in the mountains, they realised they would not make it with the petrol they had, so, Saly’s father siphoned the remaining gas in the tank and gave it to another family in exchange for safe passage to Kurdistan. Their house in Zorava which the family had invested their whole life savings has been run to the ground. Now, the all live in two simple tents in the camp. Four of Saly’s siblings are going to school and Saly’s twin is growing big and strong. Saly, though extremely cheerful and smiley, can neither hear nor speak (the latter a consequence of the former). Saly had suffered from hearing loss since birth, she is totally deaf. Almost a year ago, an NGO provided Saly with a hearing aid to try to alleviate her deafness, however, at 100% hearing loss, the aid was unsuccessful. To regain her hearing and thus learn to speak, Saly must have a cochlear implant. This process is extremely expensive and difficult to source. If you can, please dig deep and make a donation to our HandSAP programme, so may help Saly and patients like her regain their full physical capabilities.